Charlotte Maynard rarely leaves her mother's home, the sprawling Connecticut lake house that belonged to her late stepfather, Whit Whitman, and the generations of Whitmans before him. While Charlotte and her sister, Sally, grew up at "Lakeside," their stepbrothers, Spin and Perry, were welcomed as weekend guests. Now the grown boys own the estate, which Joan occupies by their grace--and a provision in the family trust. When Spin, the youngest and favourite of all the children, brings his fiancé home for the summer, the entire family is intrigued. The beautiful and accomplished Laurel Atwood breathes new life into this often comically rarefied world. But as the wedding draws near, and flaws surface in the family's polite veneer, an array of simmering resentments and unfortunate truths is exposed. 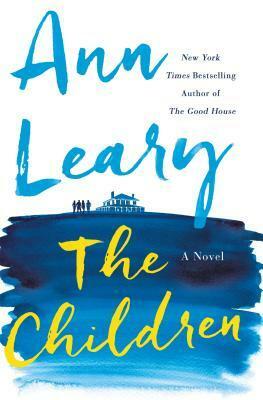 The Children by Ann Leary is a family tale of history, resentment, love and all the myriad of emotion that comes when two families are formed together as one. The question is - no matter how much you think you know one another, do you ever really? Charlotte and Sally Maynard grew up with their mother and step-father at the family estate, The Lakehouse. When Whit dies suddenly the will states his wishes are for the girls to be able to continue to reside in the family home. One son, Perry is free and clear about his resentment towards his father's 'second' family. But Spin, who was only a baby when his parents separated has never known any different and is used to being doted on by everyone who knows him. How lucky is he? 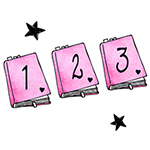 The protagonist in this novel is Charlotte. Almost hermit like Charlotte has been coasting along in life, undisturbed. That is until golden boy Spin, arrives home with a new women in tow, Laurel. Her outlook on life comes to affect everyone in the family, forcing them to stop burying their heads in the sand and face up to the issues they have long been trying to dismiss.